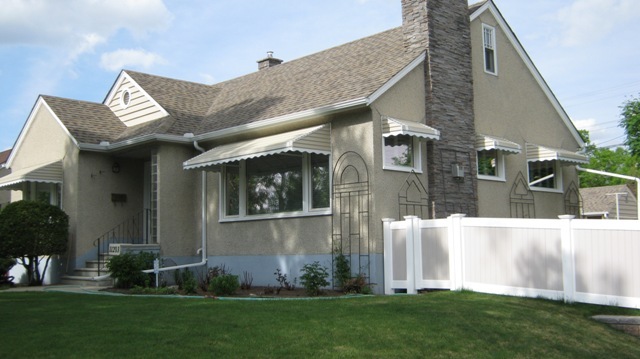 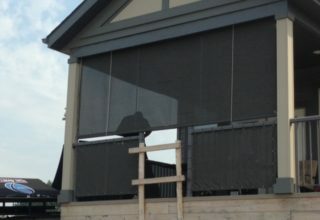 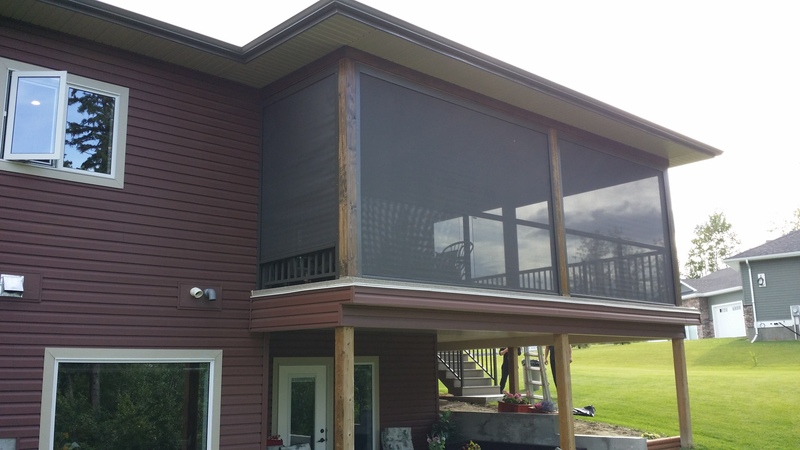 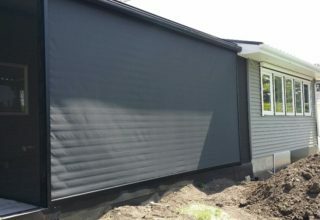 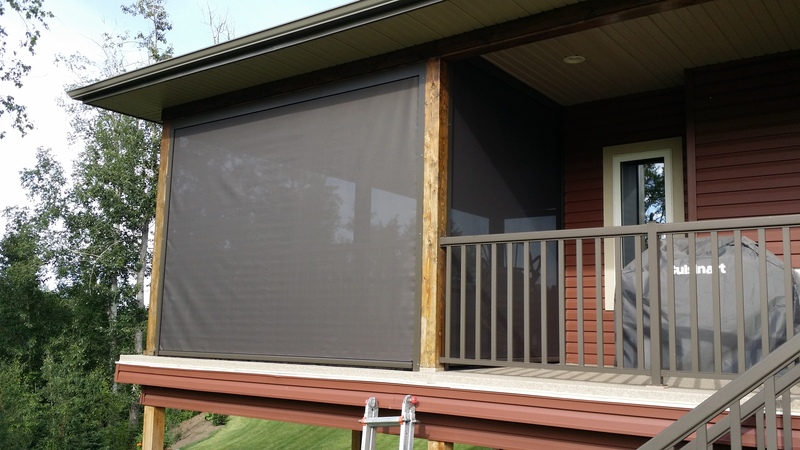 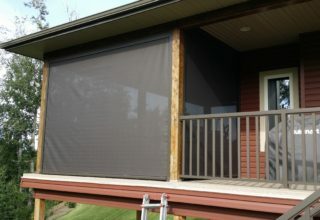 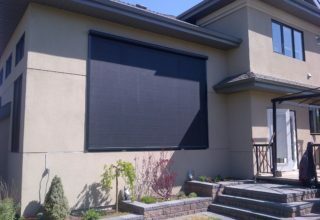 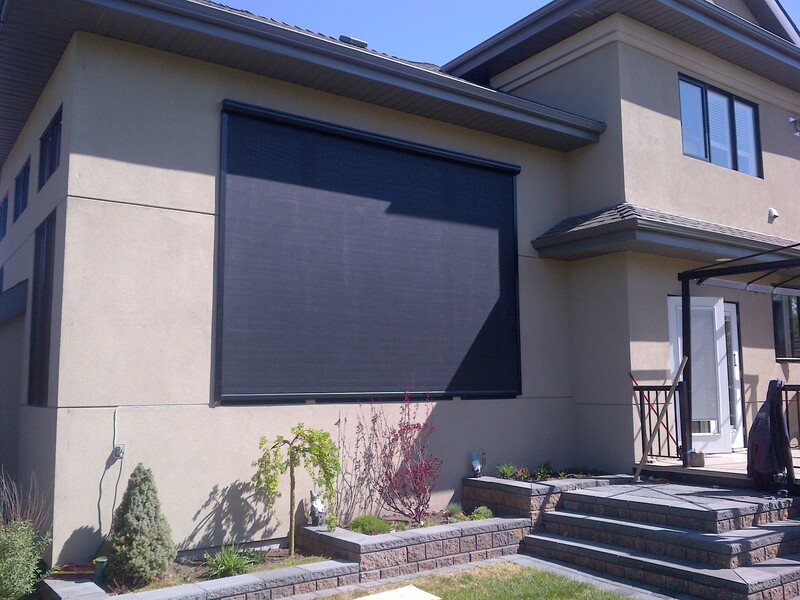 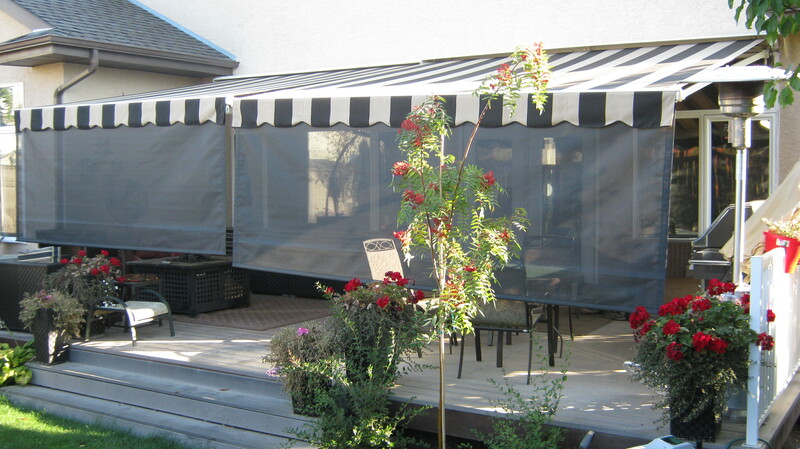 Window Coverings Edmonton | Residential Awnings | Edmonton Tent & Awning 2000 Inc.
Edmonton Tent & Awning 2000 Inc. offers retractable awnings with superiorly designed hardware and easy-care fabric. 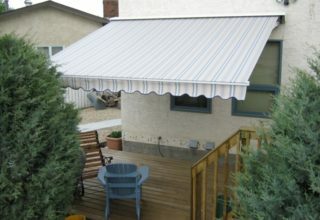 Choose from a wide variety of colours, styles, and patterns. 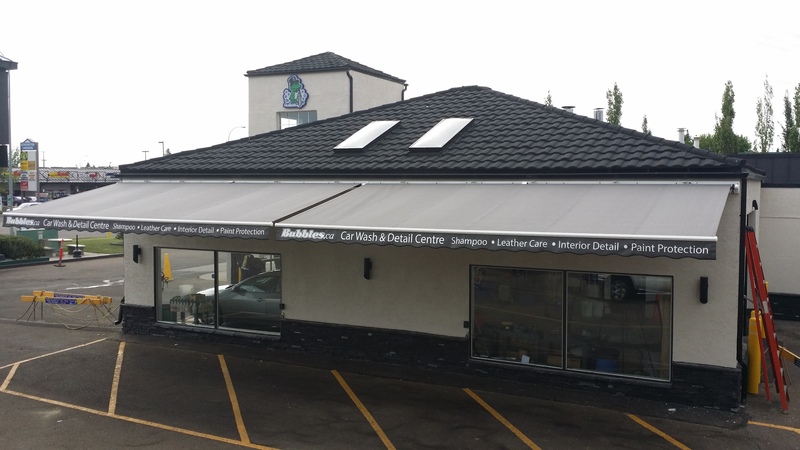 We are proud to state that our awnings are Italian manufactured by one of Europe’s largest and most progressive awning designers and manufacturers. 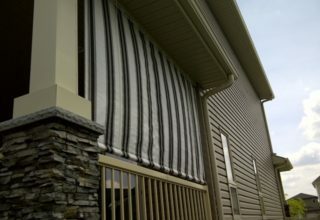 Window coverings can lower your room’s temperature by 8 to 15 degrees Fahrenheit, helping you conserve energy while blocking up to 75% of the sun’s harmful UV (ultraviolet) rays. 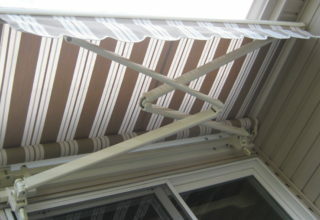 They also prevent furnishings and curtains from fading. 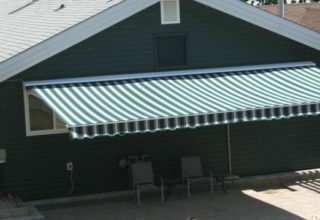 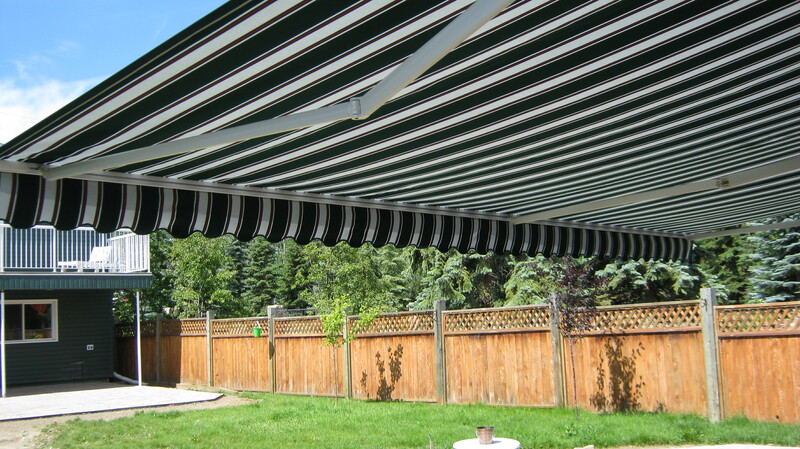 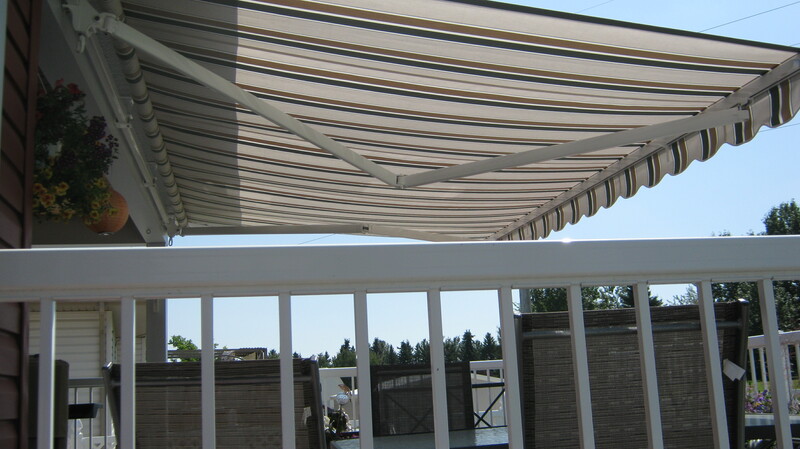 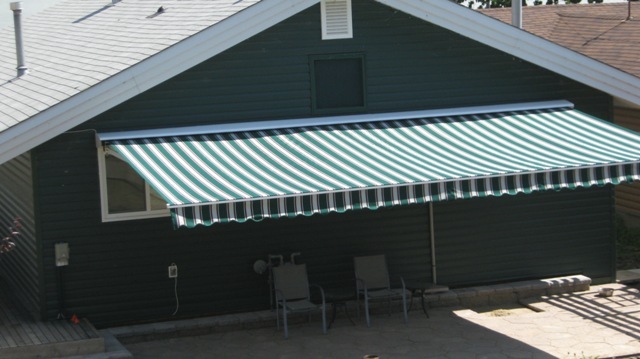 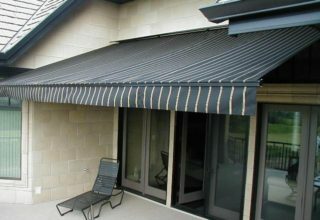 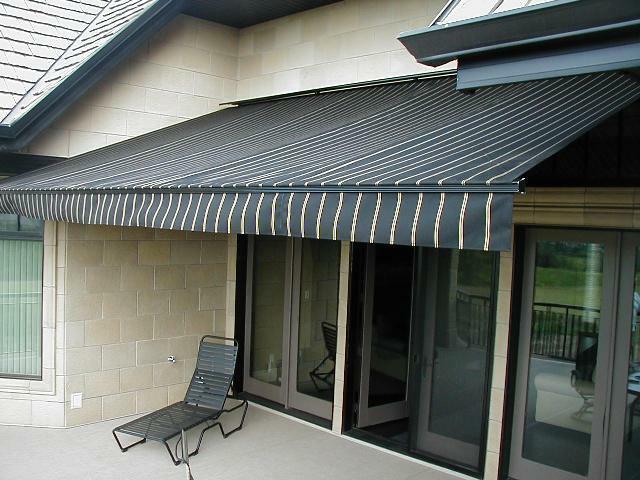 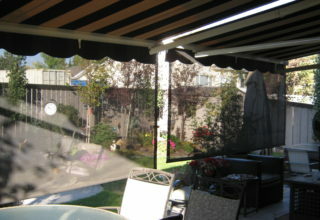 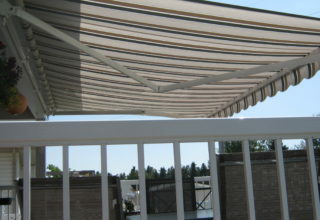 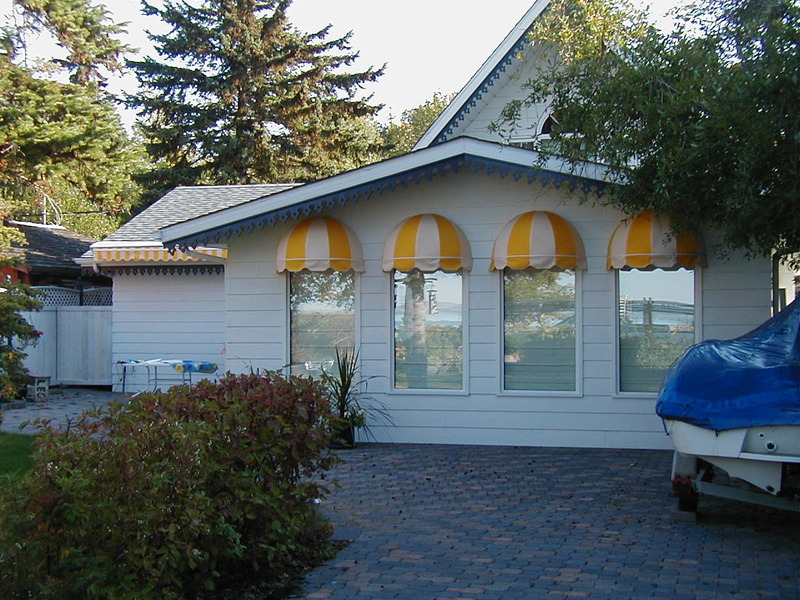 Our awnings are custom-fitted to your home and come with a five-year limited warranty. 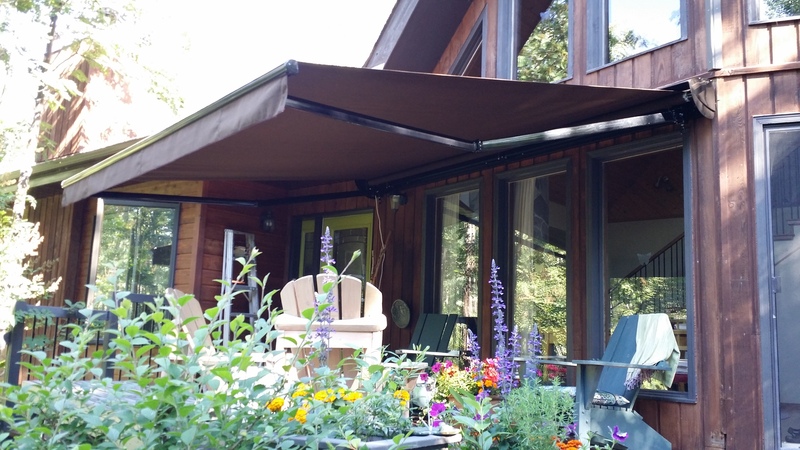 In addition, you can choose to motorize your new awning with the full line of SOMFY motors, remote controls and sensors for sun, wind and rain. 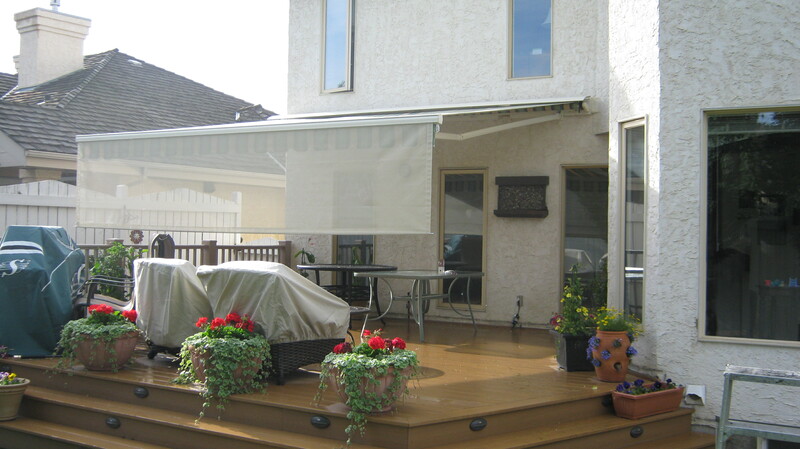 Don’t let the sun keep you from getting the most out of your patio. 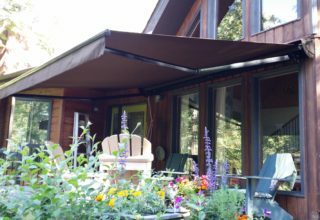 A retractable patio awning is a great way to enjoy your outdoor living space, as it allows you to create shade when you need it. 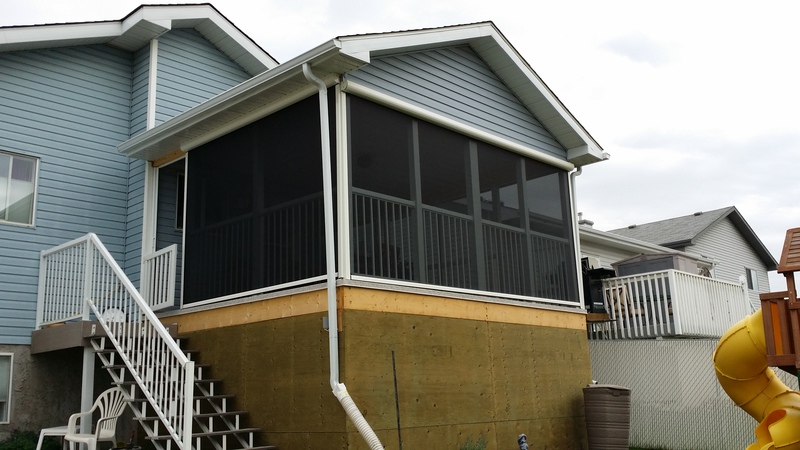 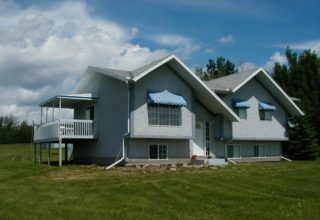 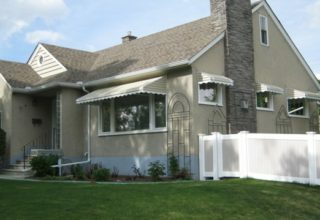 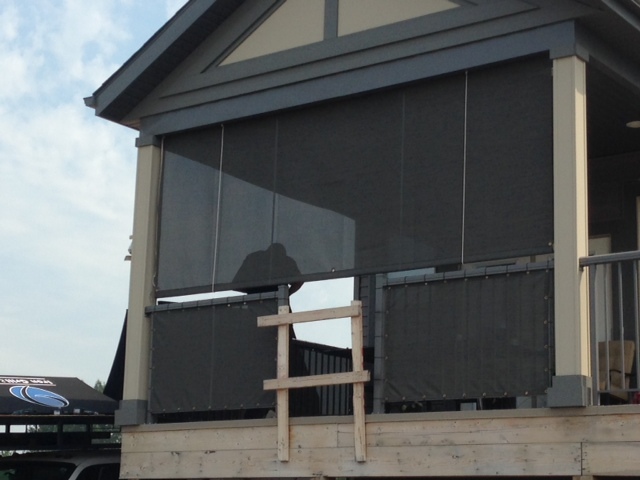 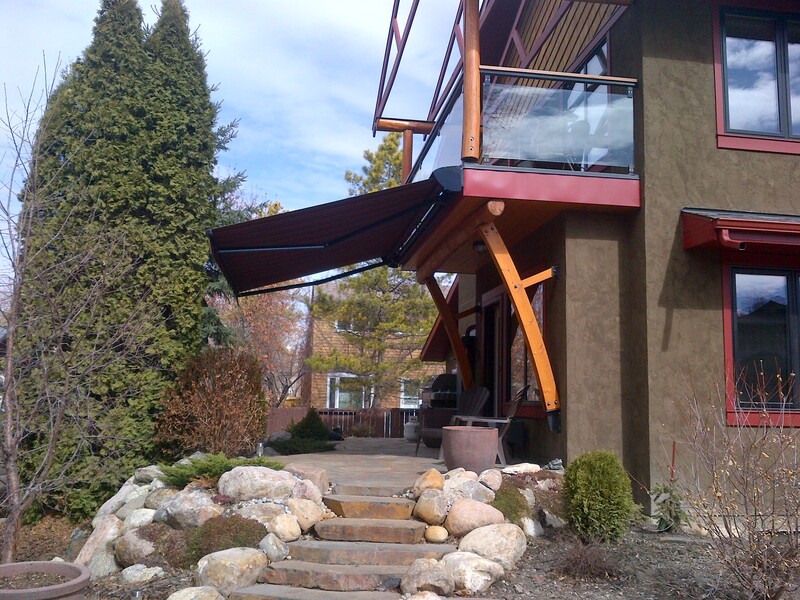 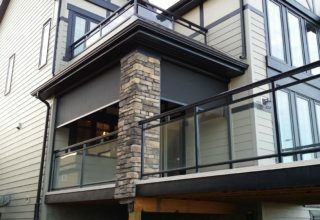 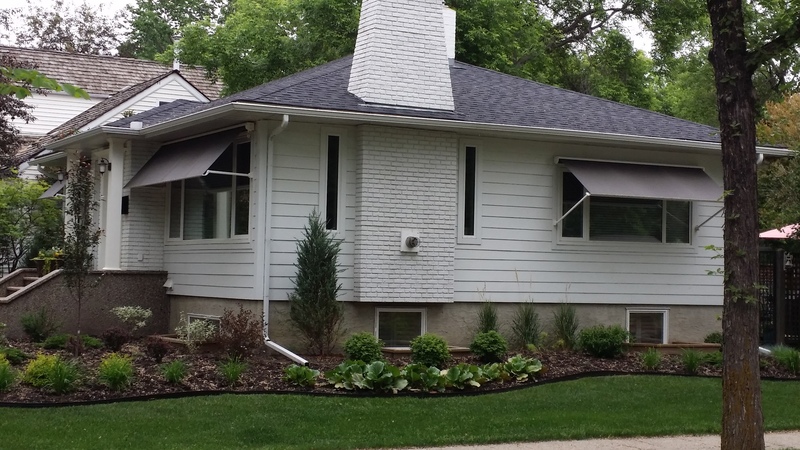 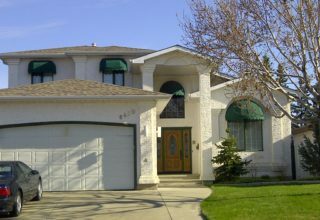 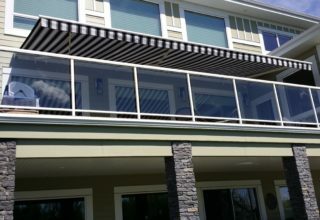 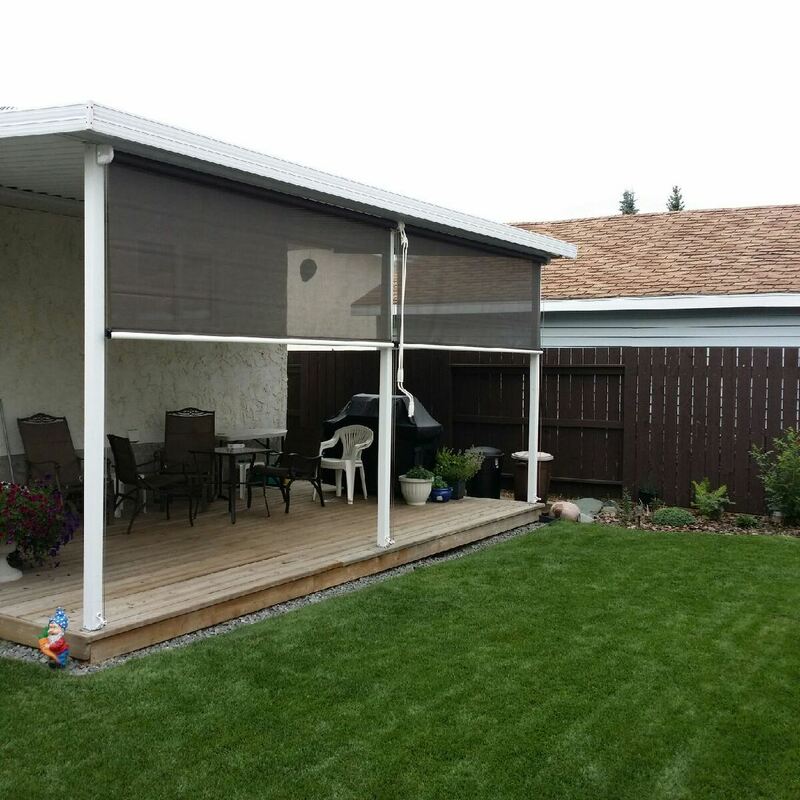 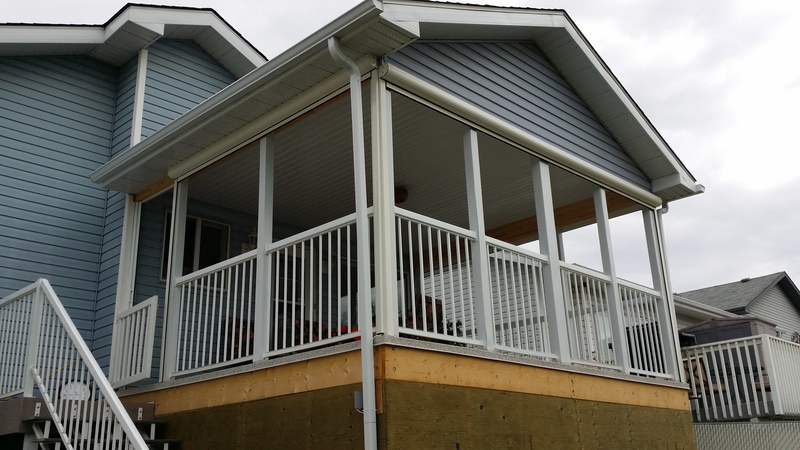 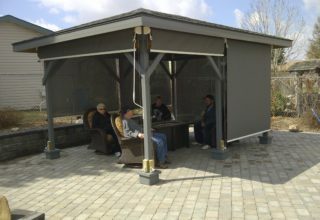 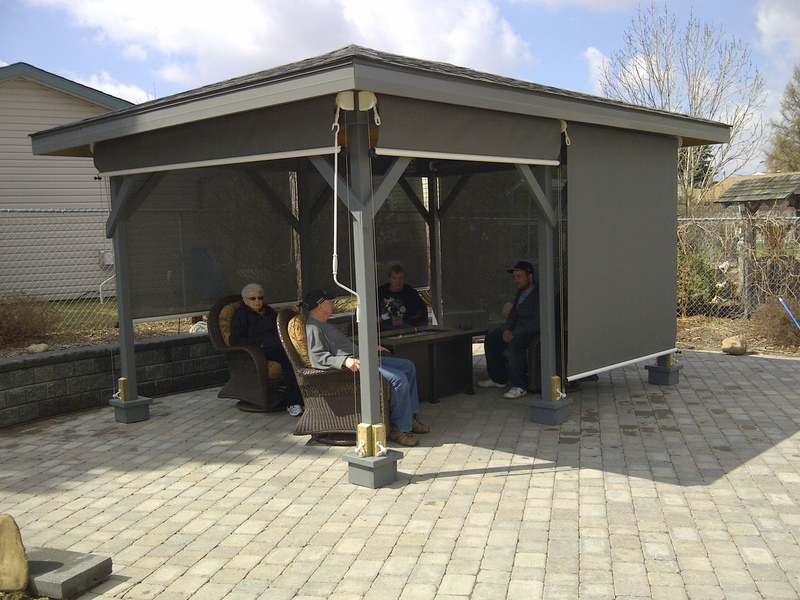 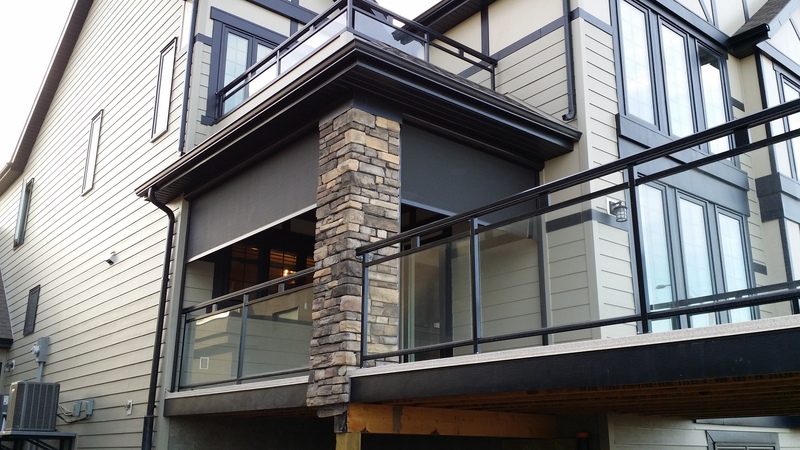 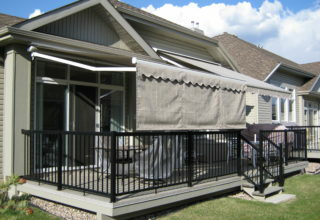 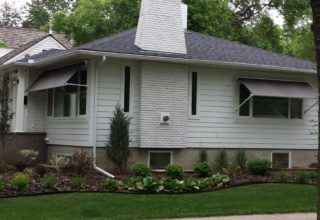 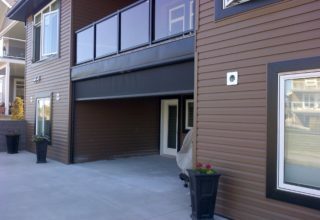 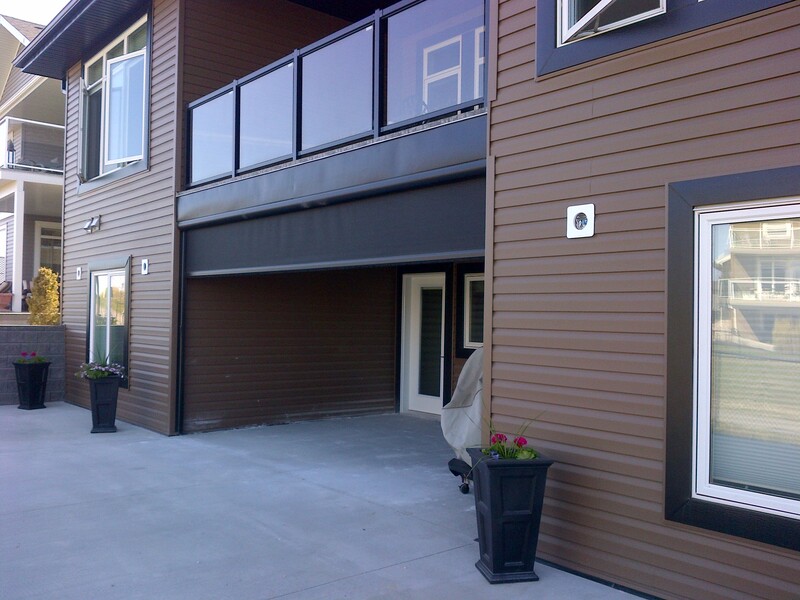 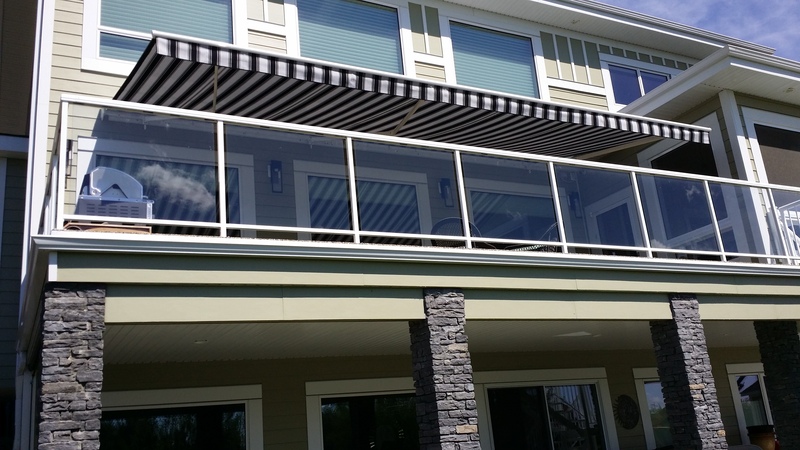 Take a moment to glance through our gallery to see samples of retractable patio awnings Edmonton Tent & Awning customers have added to their homes. 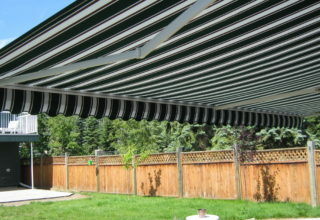 Get shade when you need it. 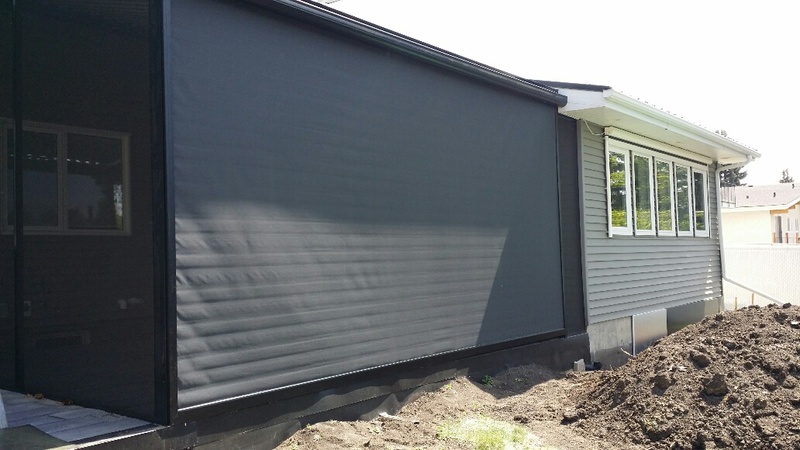 A drop curtain can cover windows, balconies, and even garages to create instant shade, privacy and protection from insects. 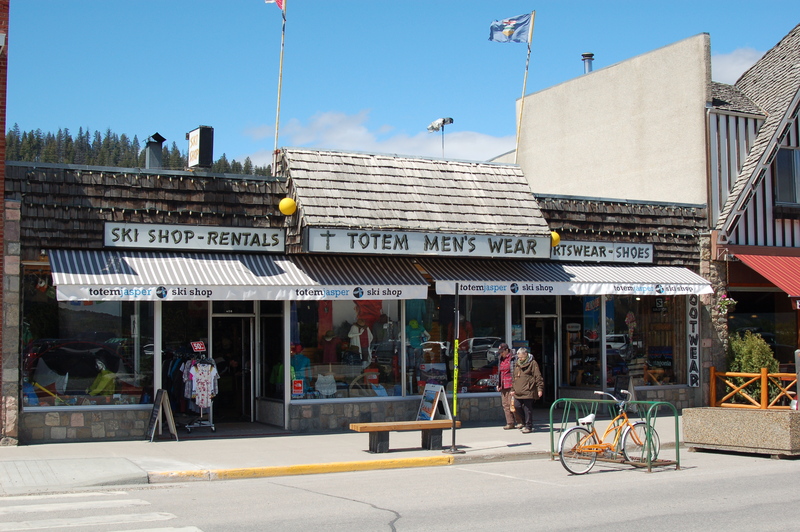 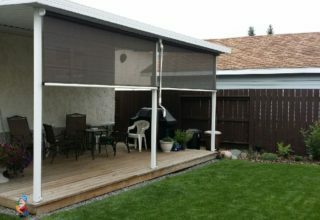 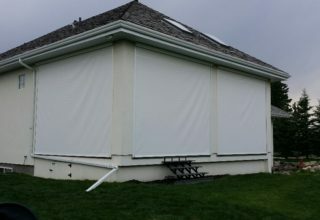 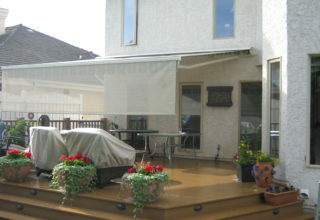 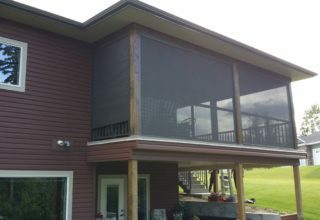 Take a moment to browse through some of Edmonton Tent & Awning’s examples of great drop curtains and their myriad uses. 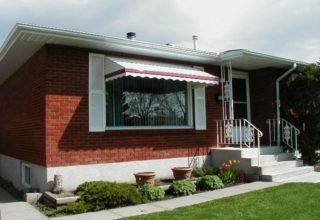 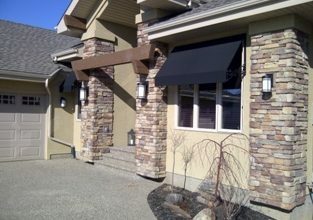 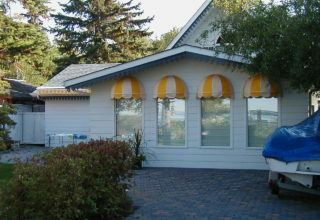 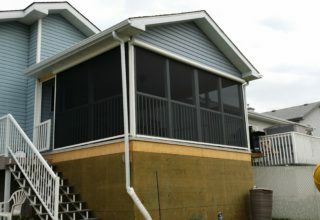 Add a unique touch of colour to your home’s exterior with fabric window awnings. 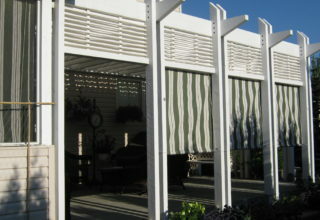 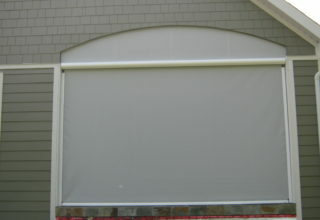 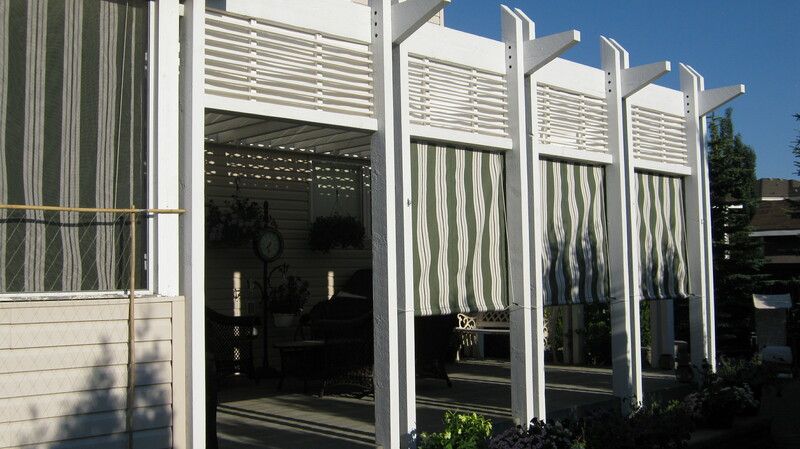 Fabric window awnings accent your windows and provide shade. 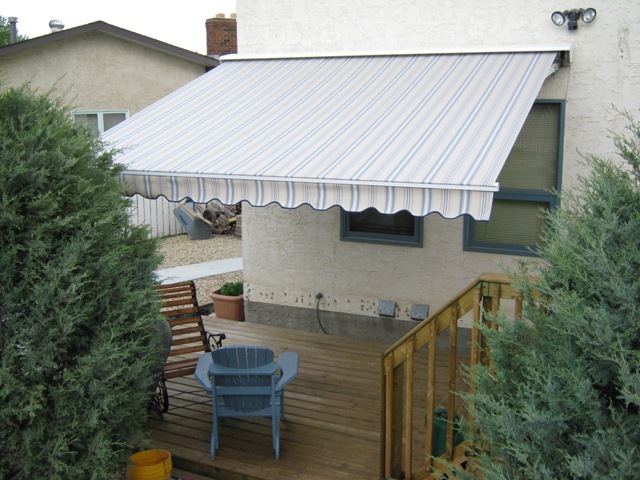 Edmonton Tent & Awning carries a wide selection from which to choose. 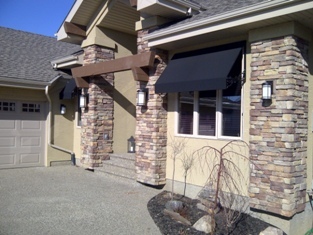 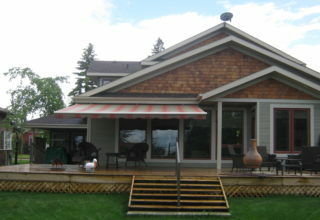 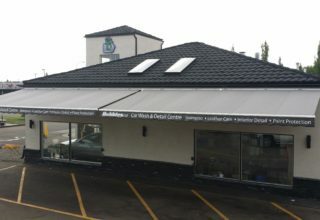 Glance through our gallery to see samples of fabric colour awnings that others have purchased for their homes. 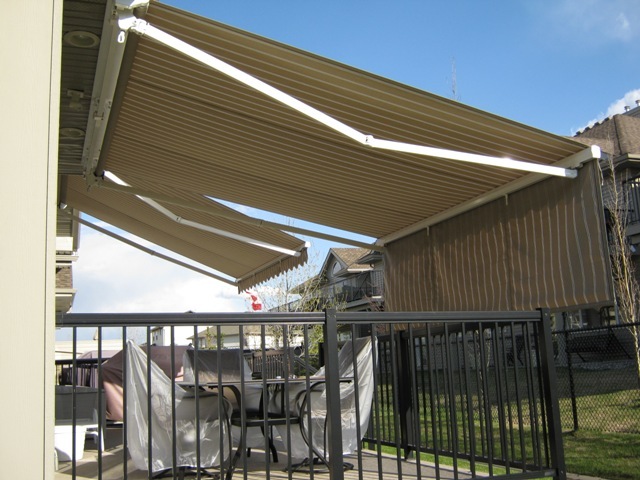 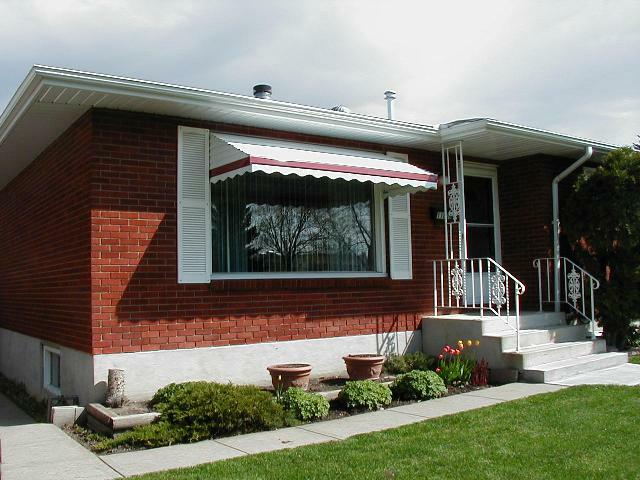 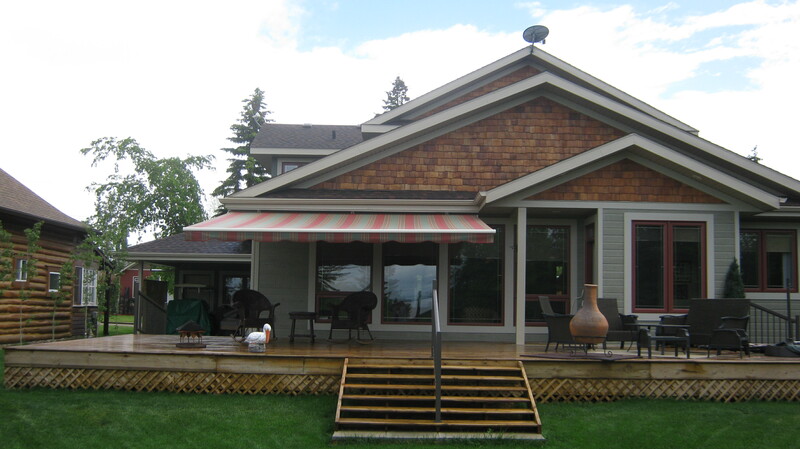 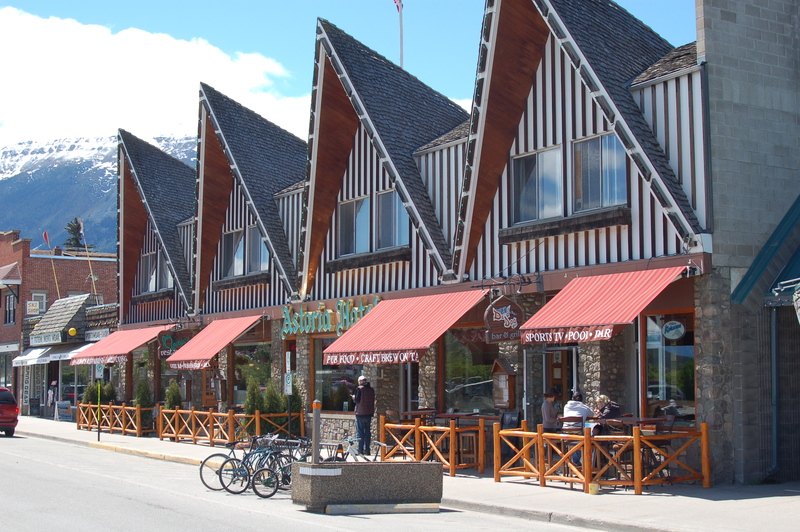 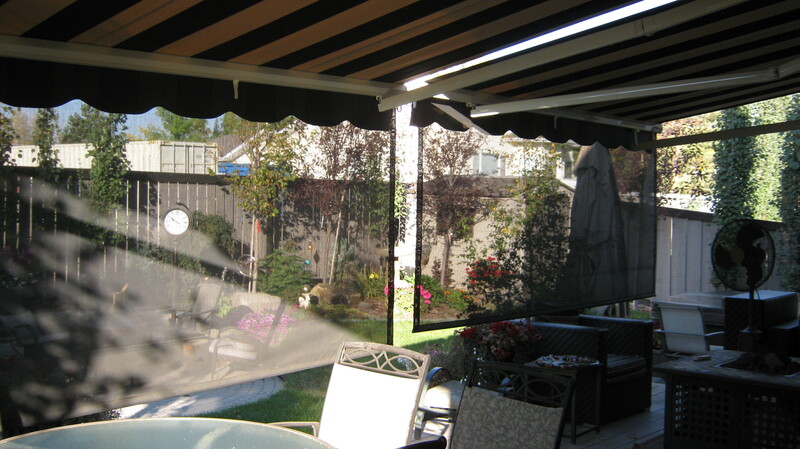 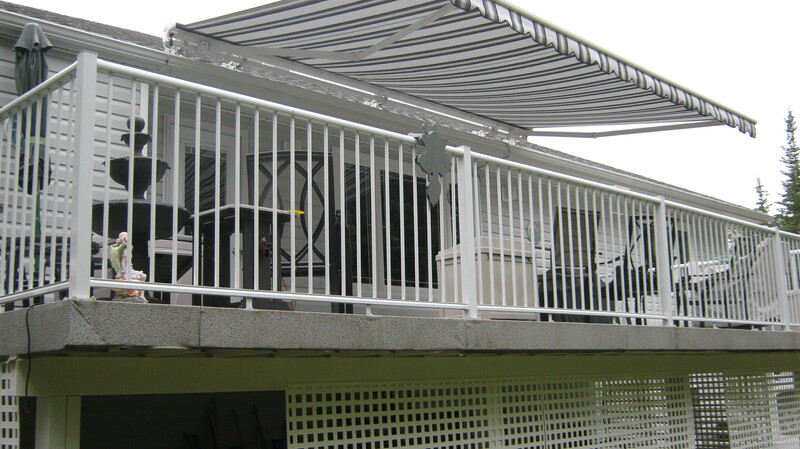 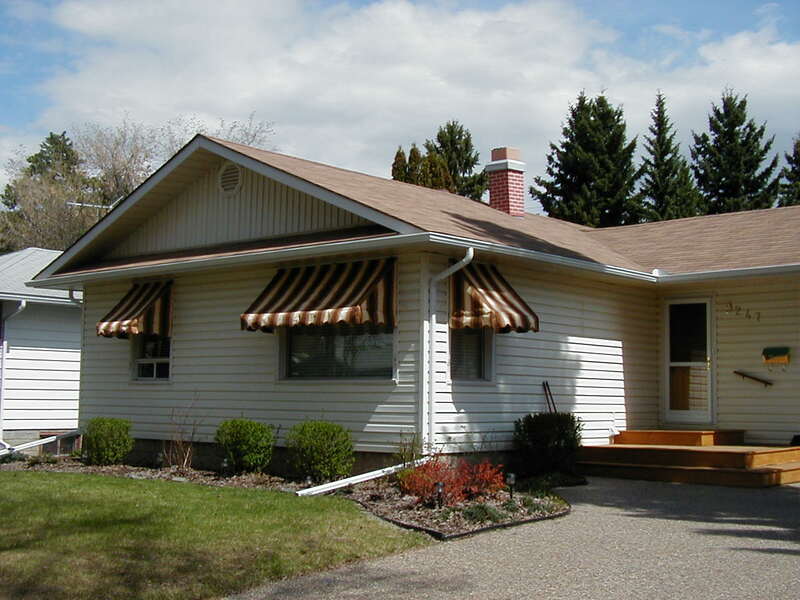 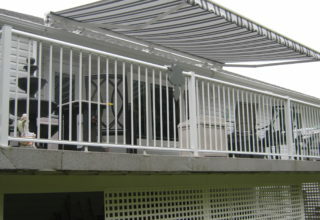 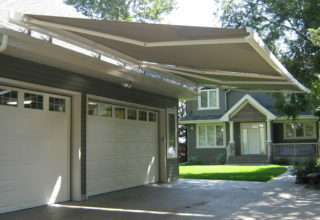 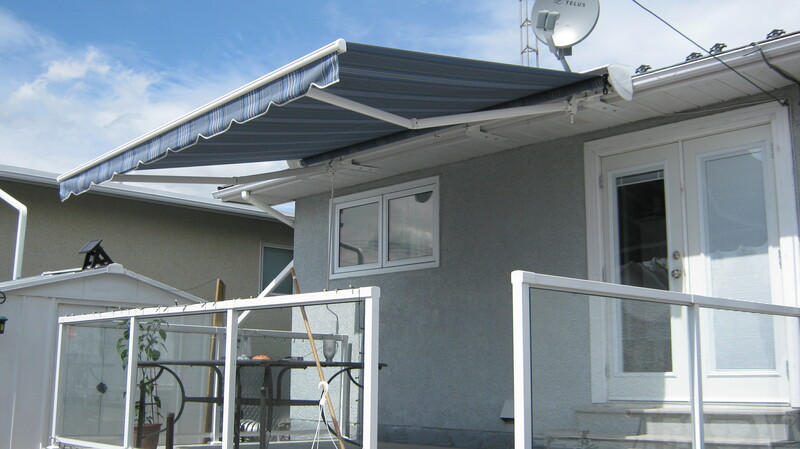 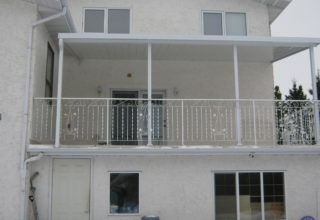 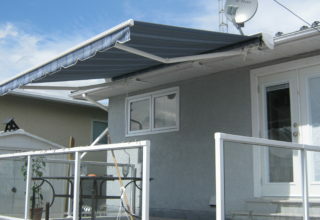 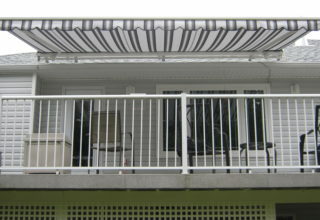 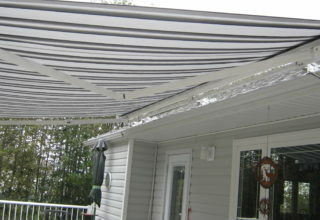 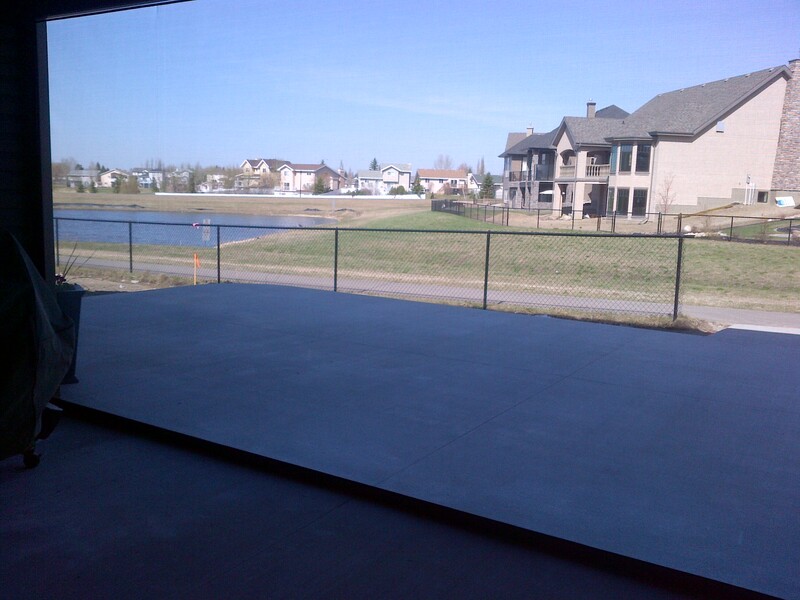 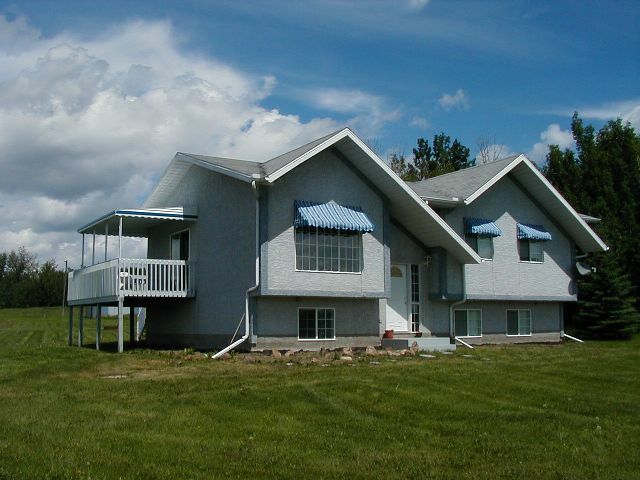 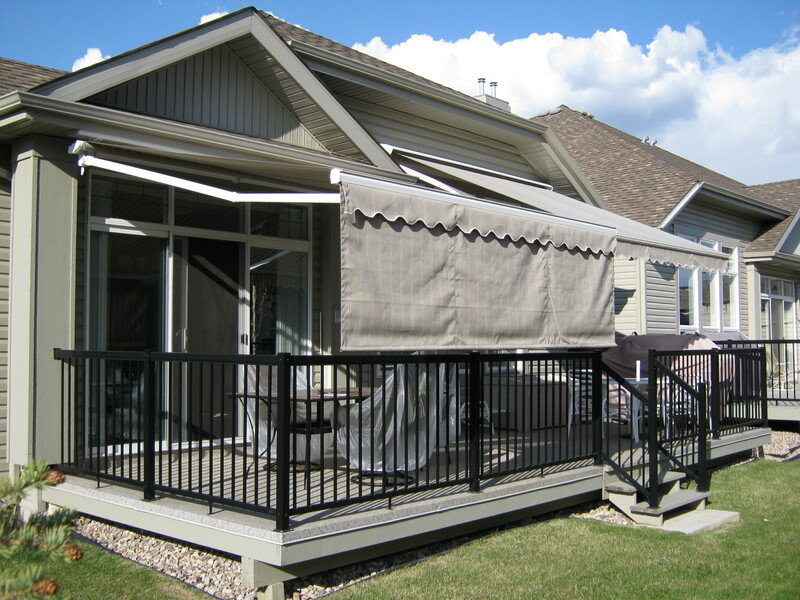 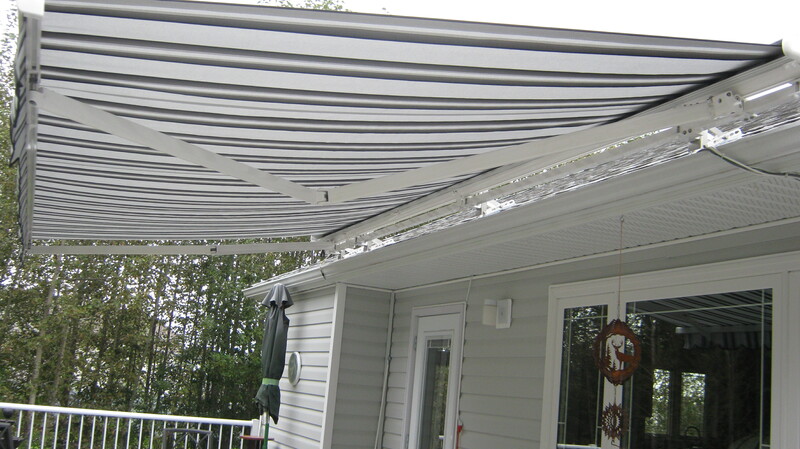 Edmonton Tent & Awning has provided metal awnings in a variety of colours and styles. 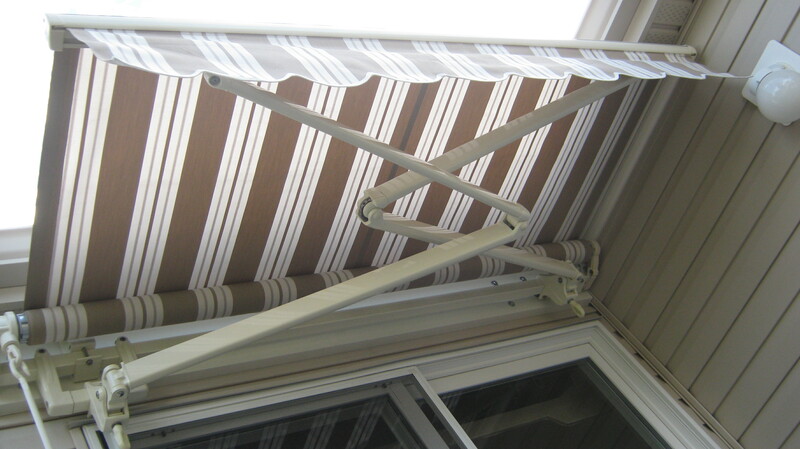 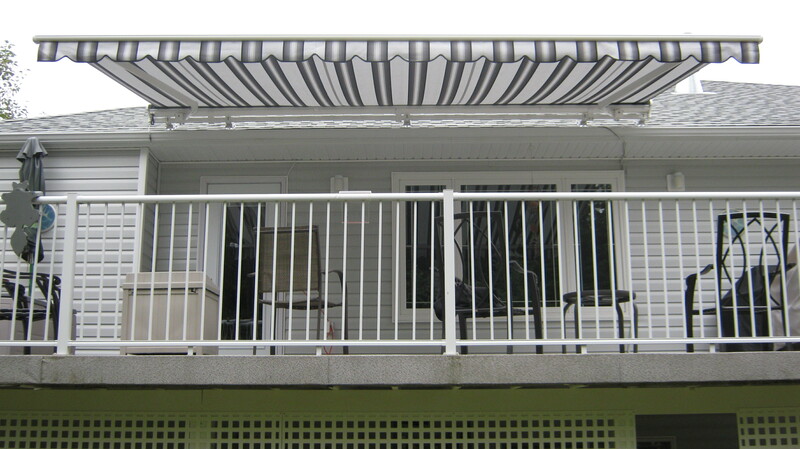 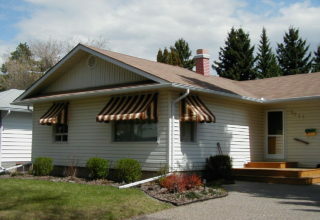 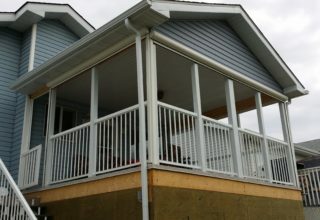 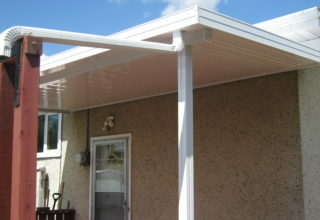 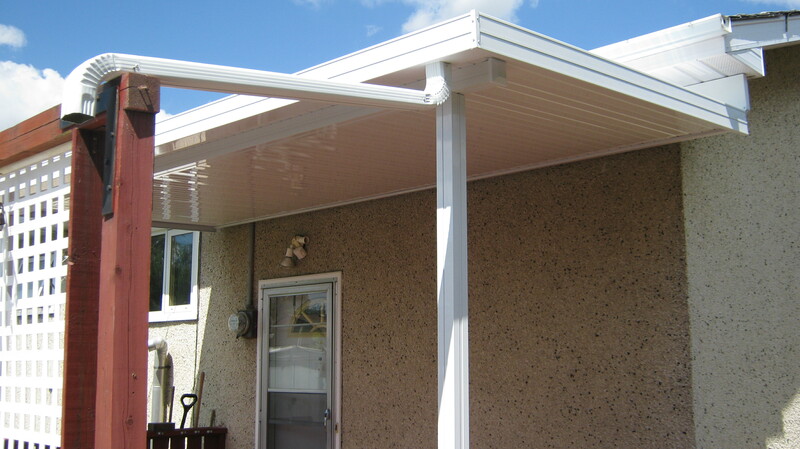 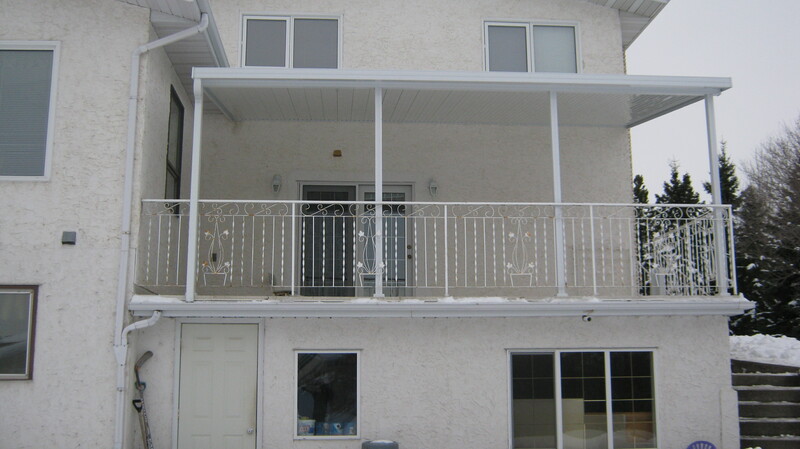 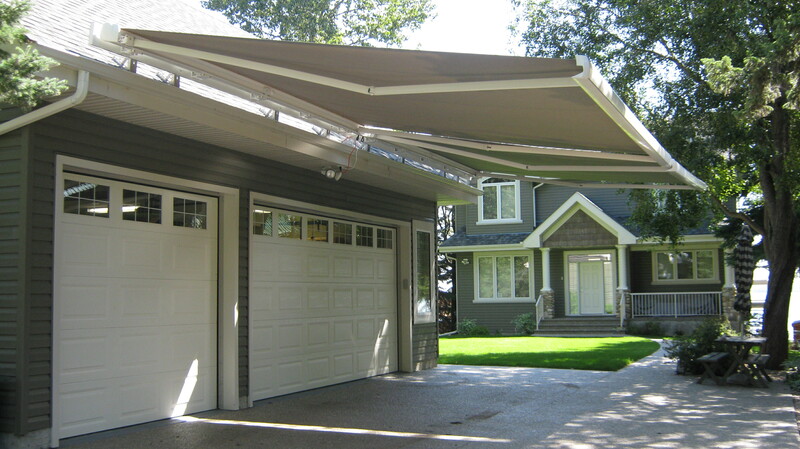 We custom-fit your awning to your home so it can complement your house’s exterior. 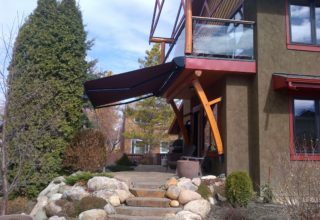 For inspiration, check out our metal awning gallery for ideas on how they can really benefit your home. 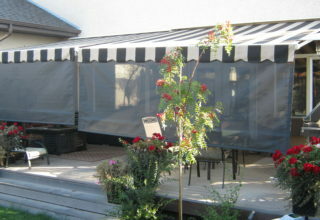 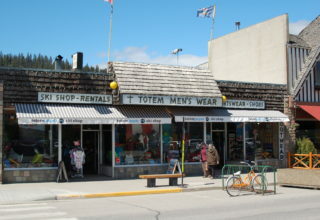 Stop on by our store today to see our great selection of awnings, tents, and patio covers. 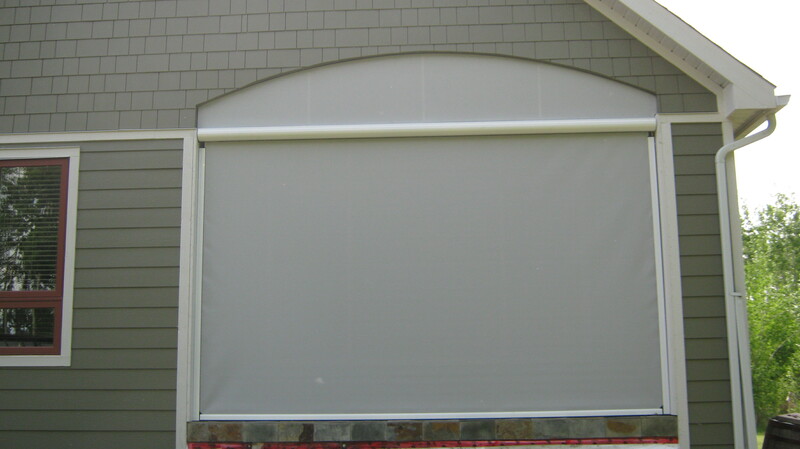 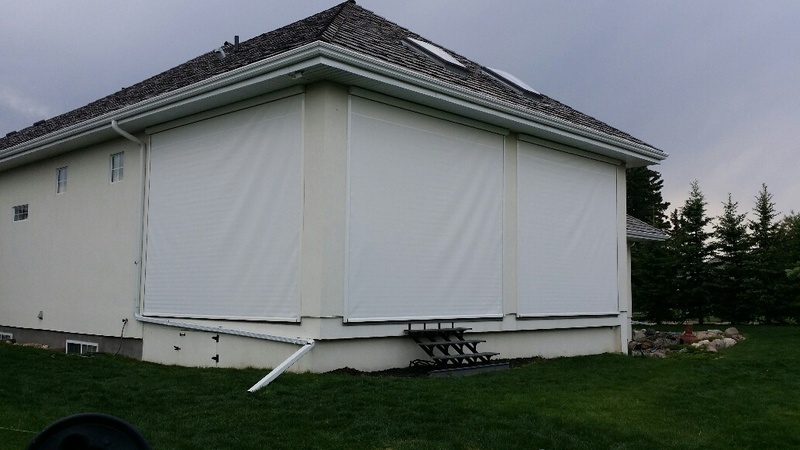 We offer a wide variety of industrial tarps, curtains, and roller blinds. 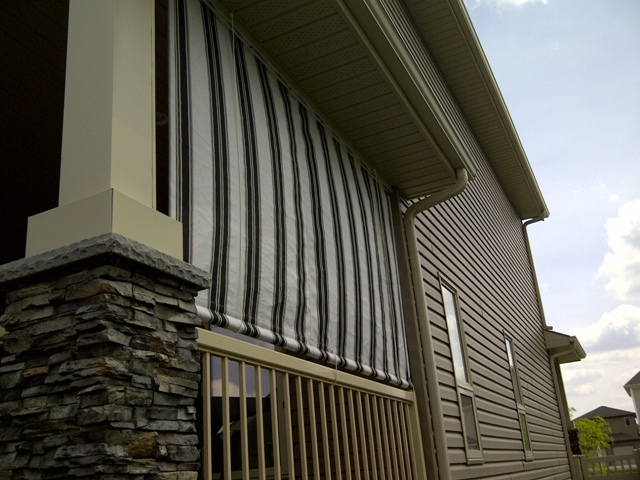 With so many colours, fabrics, and materials to choose from, you’re sure to find the covering that fits your home or business.